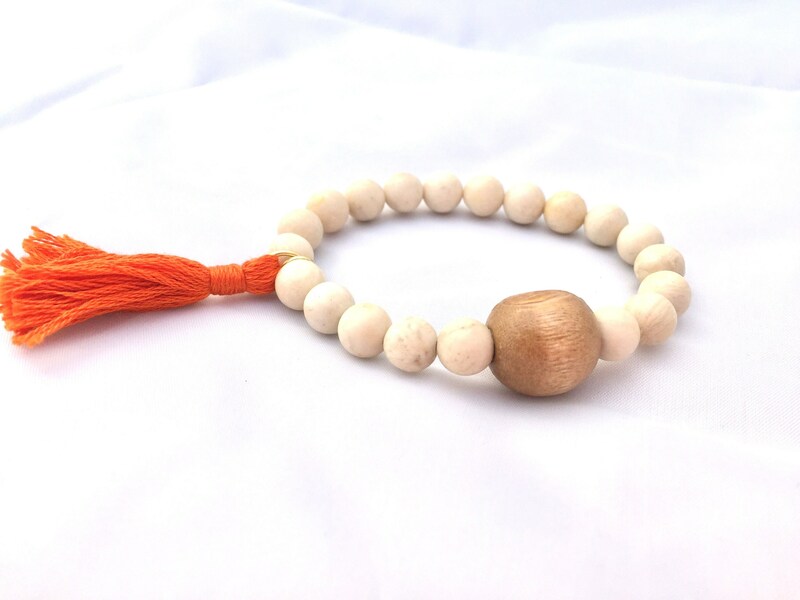 *Fossil Stone Beaded Bracelet for Men and Women with handmade (by myself) orange tassel and wood accent bead. 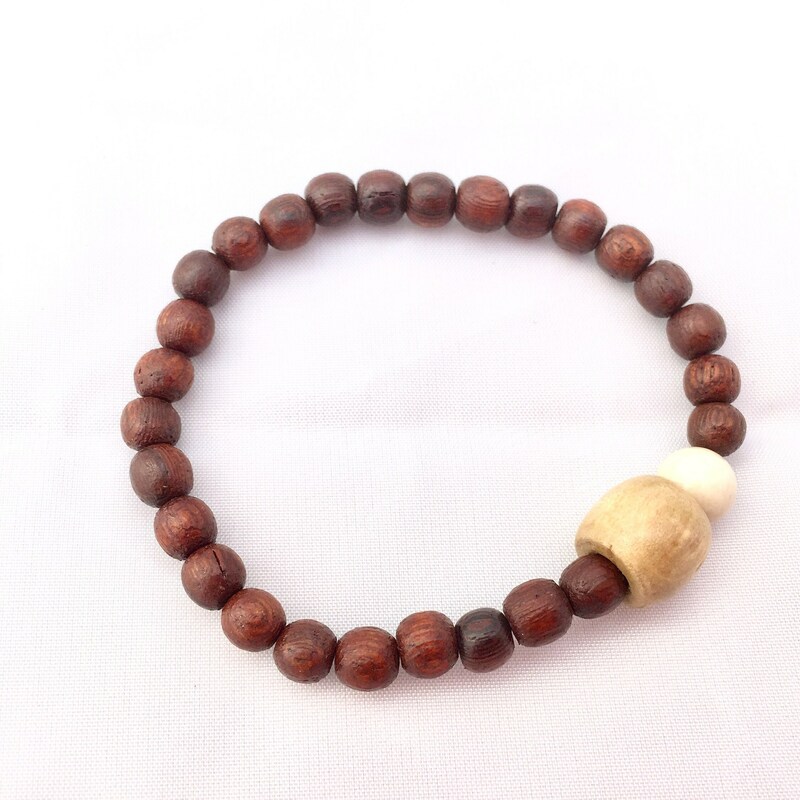 *Coconut Wood Beaded Bracelet with Wood accent bead and Fossil stone. 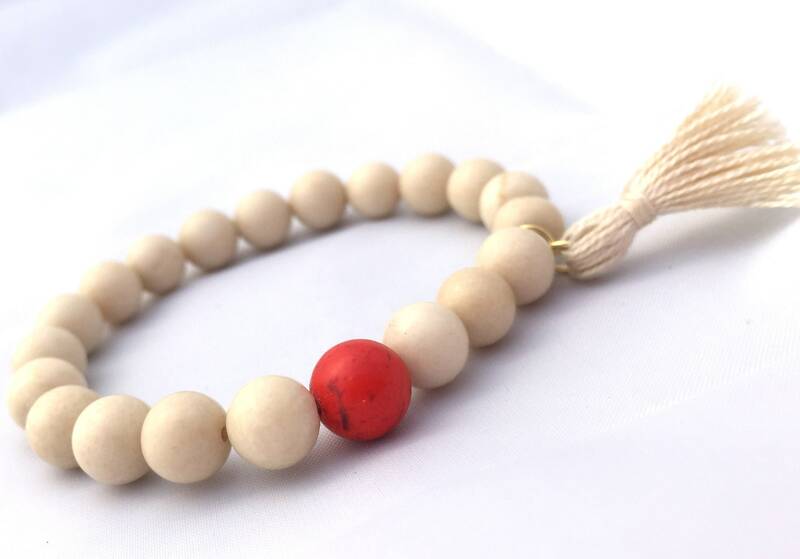 *Fossil Stone Beaded Bracelet with neutral tassel and red accent bead. Love the soft neutral for this fossil stone. This classic stone is definitely gender neutral and pairs with almost anything. The tassels are 100% soft cotton and I make them myself. A meditation unto itself! 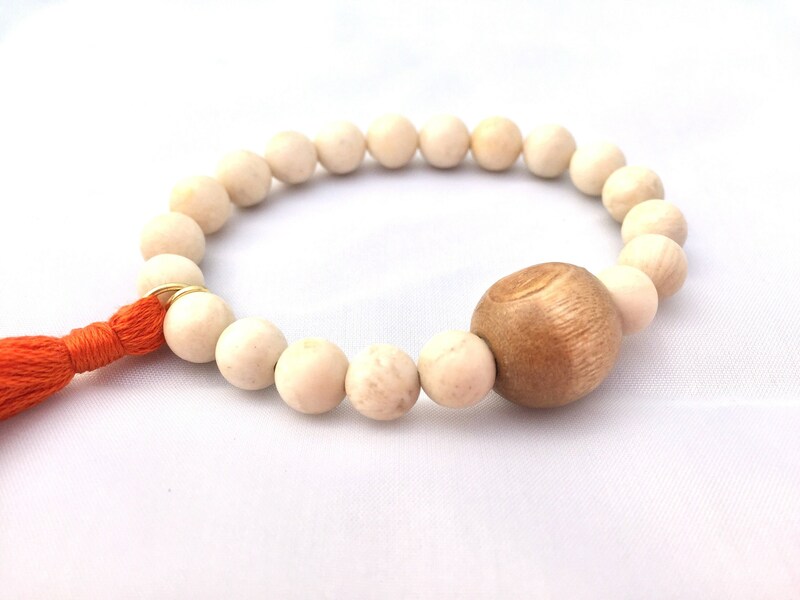 This bead is an 8mm smooth Fossil Stone designed on a sturdy elastic cord design for easy slip on and off. 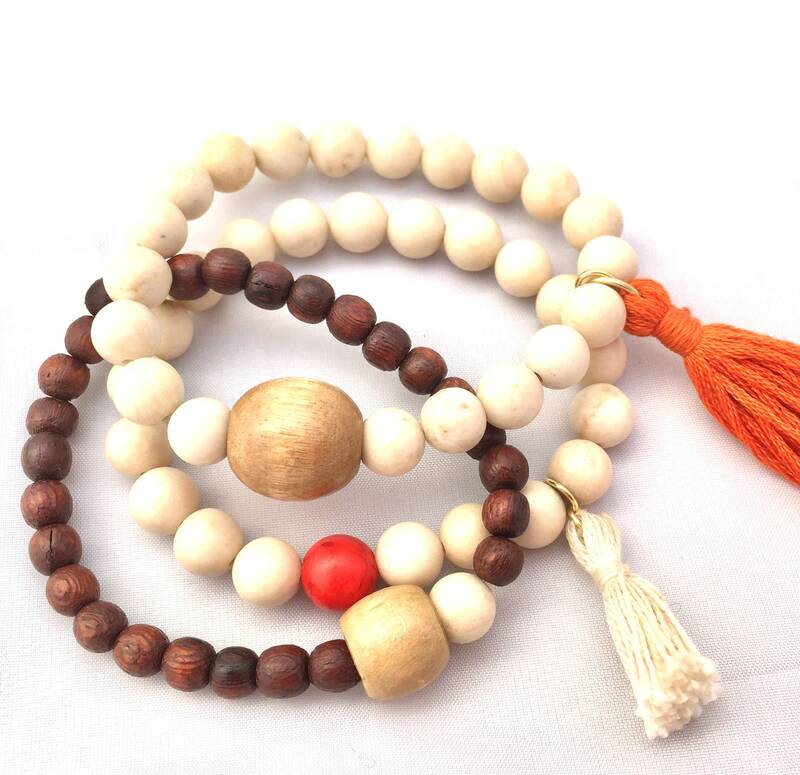 Wear it when you really need to get things done in a balanced an graceful manner. Healing card description come with each bracelet I make.